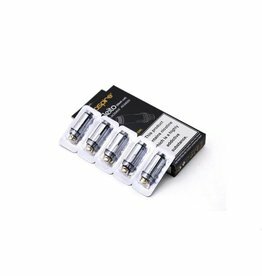 The Revvo Boost coils have been made slightly more restrictive on the inhale than the original boost coils which are perfect for this setup. 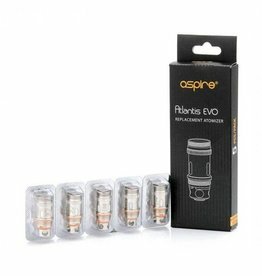 Designed for use with the Atlantis Evo Tank, available in 0.4ohm and 0.5ohm resistances. 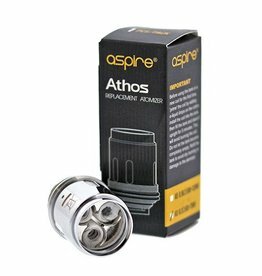 Aspire's challenge to the sub ohm vaping world comes in the shape of their new Sub Ohm coils, for use with the Atlantis Tank. 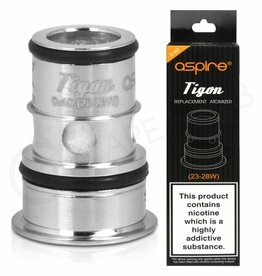 With a coil resistance level of 0.3, 0.5 or 1.0 ohms. 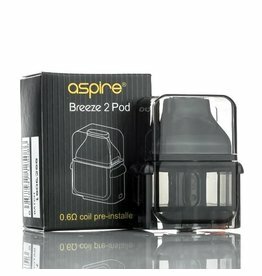 Aspire Breeze 2 Replacement Pod is a proprietary pod for the Breeze 2 AIO Pod System, featuring a 3mL juice capacity, top fill system, and access to the Aspire U-Tech Coil Technology for a better flavor-oriented vape. 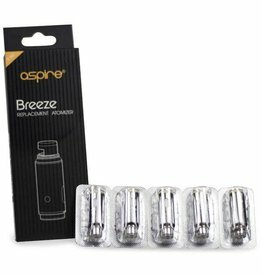 The Aspire multi-compatible BVC coils for use with the K1 Clearomizer Aspire CE5, Aspire ET-S and the Aspire K2 quick Start Kit. 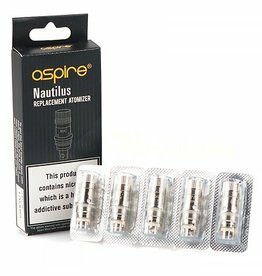 Slightly different design to that of the Nautilus BVC, but the same technology that makes them so good. 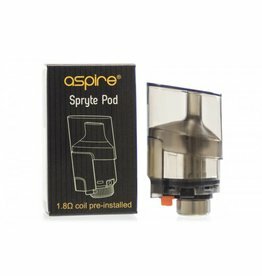 Aspire Cleito 120 Pro tank which comes with a 0.15ohm Mesh coil. 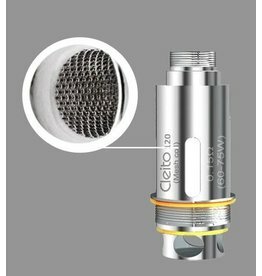 This coil can also be used in the regular Cleito 120 tank. 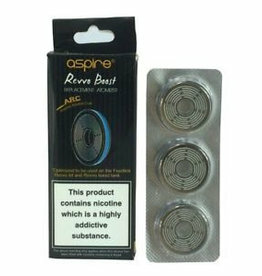 Sold as a pack of 5, discount is applied when 20 packs are sold. 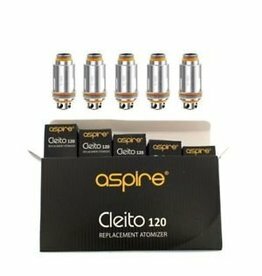 Designed for the Aspire Cleito EXO Tank, the Aspire Cleito EXO 0.16ohm Coil has a low resistance and designed for those vapers who like to directly inhale. 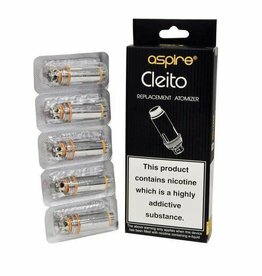 Pack of 5 genuine 0.15Ω mesh coils for the Aspire Cleito tank, Cleito tank and the Cleito EXO tank. 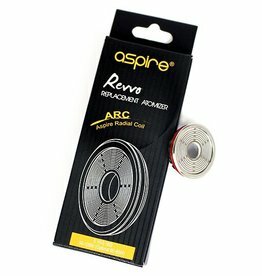 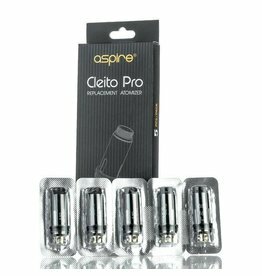 Pack of 5 genuine 0.5Ω coils for the Aspire Cleito Pro tank. 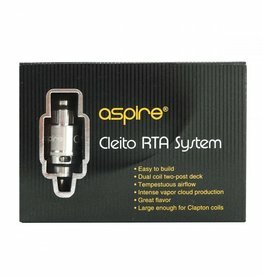 Also compatible with the original Cleito and the Cleito EXO tank. 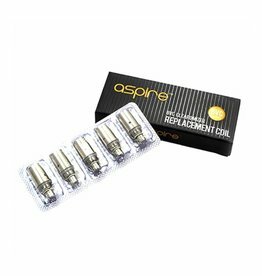 These are direct lung vaping sub-Ohm coils and they come with the Aspire Nautilus 2S tank. 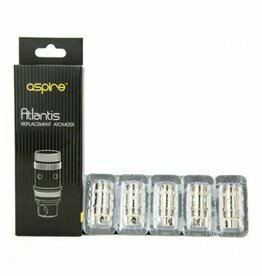 These coils are compatible with the following Aspire tanks: K3, Nautilus Mini, Nautilus, Nautilus 2, Nautilus 2S. 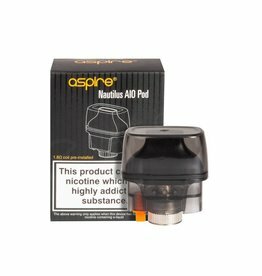 Rather than a tank the Aspire Nautilus AIO features a plastic pod instead, so rather than messy coil changing you can just throw it away and stick a new one on if you so wish, although coils are still replaceable. 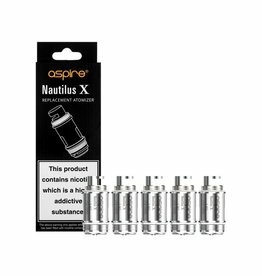 Aspire's Nautilus X coils are designed to provide a tasty, satisfying mouth-to-lung vape, and are available in both 1.5Ω and 1.8Ω. 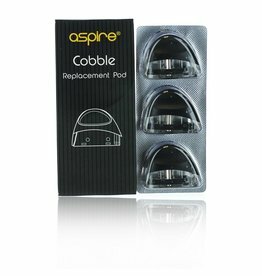 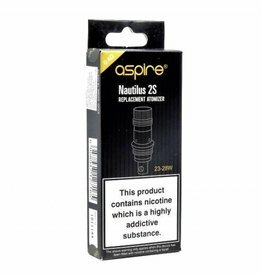 Aspire PockeX coil, these replacement Aspire PockeX coils are designed for maximum flavour and vapour production, these coils are available in a resistance of 0.6 ohms & 1.2 ohm.